Bethany Mota • YouTube, Twitter, Instagram fixture has millions of teen followers eager to get her shopping advice. 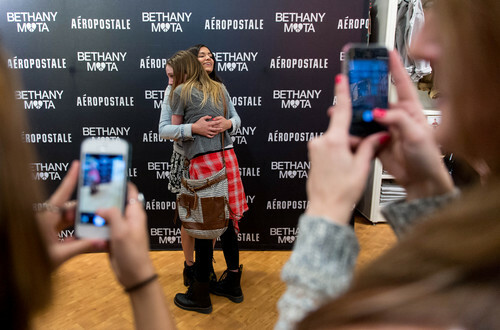 Trent Nelson | The Salt Lake Tribune A fan gets a hug from YouTube star Bethany Mota, at the Aeropostale store in Fashion Place Mall in Murray where she opened a new line of clothing Thursday February 13, 2014. Trent Nelson | The Salt Lake Tribune YouTube star Bethany Mota meets her fans at the Aeropostale store in Fashion Place Mall in Murray where she opened a new line of clothing Thursday February 13, 2014. 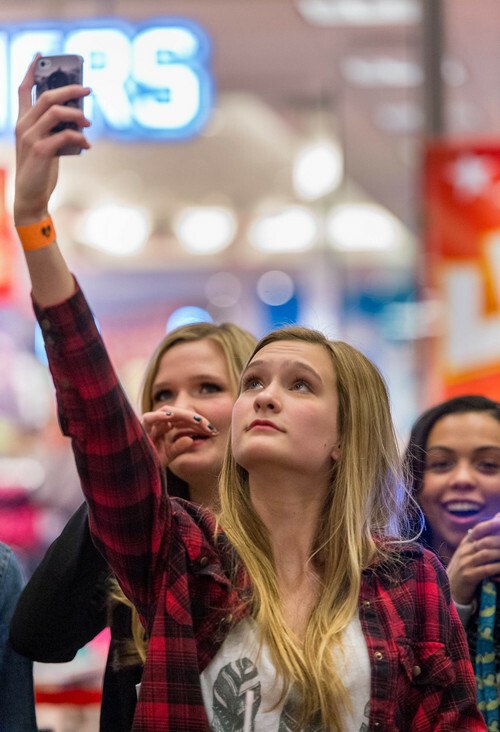 Trent Nelson | The Salt Lake Tribune Gracie Overturf holds her phone up for a photo of YouTube star Bethany Mota at the Aeropostale store in Fashion Place Mall in Murray where she opened a new line of clothing Thursday February 13, 2014. 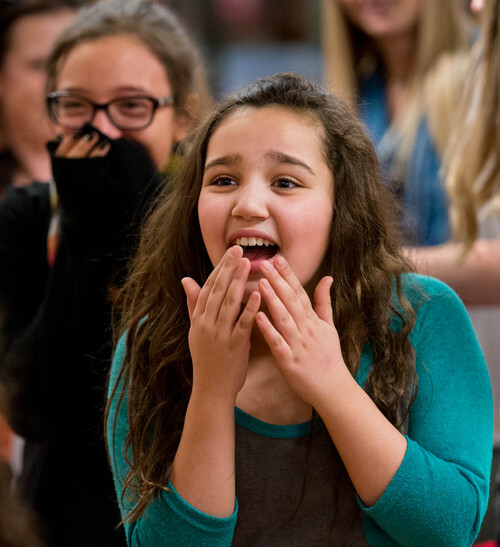 Trent Nelson | The Salt Lake Tribune Bruna Santos, right, and Mallalai Perez react to meeting YouTube star Bethany Mota, at the Aeropostale store in Fashion Place Mall in Murray where she opened a new line of clothing Thursday February 13, 2014. Trent Nelson | The Salt Lake Tribune YouTube star Bethany Mota meets her fans at the Aeropostale store in Fashion Place Mall in Murray where she opened a new line of clothing Thursday February 13, 2014. 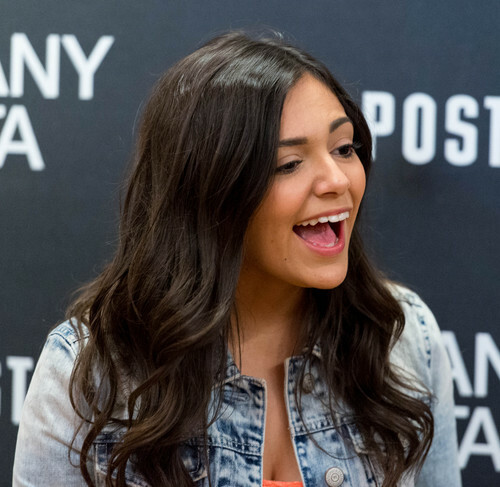 Trent Nelson | The Salt Lake Tribune Bailey Herron reacts to meeting YouTube star Bethany Mota, at the Aeropostale store in Fashion Place Mall in Murray where she opened a new line of clothing Thursday February 13, 2014. Trent Nelson | The Salt Lake Tribune Girls wait for their chance to meet YouTube star Bethany Mota, at the Aeropostale store in Fashion Place Mall in Murray where she opened a new line of clothing Thursday February 13, 2014. Trent Nelson | The Salt Lake Tribune YouTube star Bethany Mota meets her fans at the Aeropostale store in Fashion Place Mall in Murray where she opened a new line of clothing Thursday February 13, 2014. 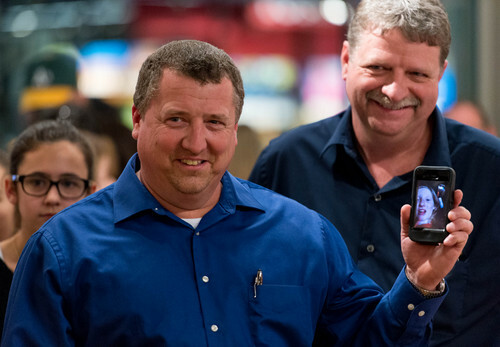 Trent Nelson | The Salt Lake Tribune Kevin Buechler holds up his phone for his daughter to get a look at YouTube star Bethany Mota, at the Aeropostale store in Fashion Place Mall in Murray where she opened a new line of clothing Thursday February 13, 2014. Trent Nelson | The Salt Lake Tribune Kaylie Ross, Maren Pilcher and Jessica Brroks rush in to meet YouTube star Bethany Mota, at the Aeropostale store in Fashion Place Mall in Murray where she opened a new line of clothing Thursday February 13, 2014. 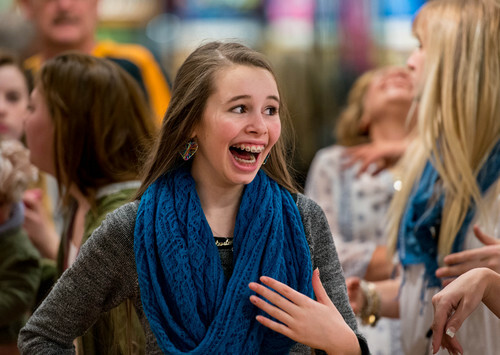 Trent Nelson | The Salt Lake Tribune A teenage girl reacts to meeting YouTube star Bethany Mota, at the Aeropostale store in Fashion Place Mall in Murray where she opened a new line of clothing Thursday February 13, 2014. A screaming horde of teen girls took over a corner of the Fashion Place Mall in Murray Thursday afternoon. It was loud. It was chaotic. And If you&apos;re not a teenager yourself, you probably didn&apos;t notice and, even more, probably don&apos;t care. But you should; those teenage girls who lined up for hours outside an Aeropostale store are part of a new, radically social environment. It&apos;s an environment where the lines between merchants and consumers are blurrier and easier to cross than ever before. And what&apos;s more, it&apos;s an environment that&apos;s probably coming to a store near you. The girls  who numbered about 650 by late Thursday afternoon  showed up at the mall to see Bethany Mota, an 18-year-old who just happens to have 1.2 million Twitter followers. She has twice that many followers on Instagram, though her account is actually a little difficult to find because there are so many others with titles like "Bethany Mota Fanpage" and "Bethany Mota is Perfection." But Mota&apos;s bread and butter is her YouTube videos. In dozens of videos dating back about four years, Mota doles out fashion advice, hair-styling tips and several tours of her bedroom. Many of the videos have millions of views. Last year, Mota&apos;s ballooning influence earned her a personalized line of clothing with teen retailer Aeropostale. The company found the online ingenue after her name came up again and again in focus groups. Aeropostale execs kept asking who teenage girls followed online. The girls kept saying Mota. So the company reached out to Mota. The relationship began casually, but after a series of meet-and-greets at stores turned out thousands of girls Mota ended up with her own clothing line and a national bus tour. Thursday&apos;s event in Murray was one of the last stops of the tour. None of which is all that remarkable. Corporations use well-known figures all the time to promote products and the idea of a celebrity  or celebrity-ish  endorsement is old hat. But Mota&apos;s story is more interesting on a few levels. For one thing, there&apos;s the age. Mota started at 13. By 18, she&apos;s riding around in a very sweet tour bus  that formerly belonged to Keith Urban no less  being received like a member of The Beatles. Even more fascinating is what Mota means for retail. An Aeropostale spokeswoman who was not authorized to be quoted by name said Thursday that Mota was the first person to rise out of social media and end up in a professional relationship with the company. When that happened, Mota brought her ethos, her particular type of street cred, along with her. Mota&apos;s fans, after all, look up to her. Meredith Clark, 12, described Mota as "just like me almost. She&apos;s like a better version of me." Clark&apos;s friend, 13-year-old Alison Walker, left school early Thursday to wait in line and meet Mota. Other girls camped out, arriving at the mall at 4:30 a.m. so they could be among the first 300 fans to met their idol. This all creates a uniquely symbiotic relationship, with both Mota&apos;s and Aeropostale&apos;s stars rising together. Contrast that with other celebrity endorsements. Did Beyonce get anything but money for endorsing Pepsi? Is LeBron James more famous because he has a deal with Nike? Not so much. And that&apos;s the essence of the Mota-Aeropostale story: social media is creating a new kind of spokesperson and a new kind of corporation. It&apos;s creating a new kind of world, really, where the middle men have disappeared and companies have direct access to their biggest cheerleaders. And in the end, you may not have heard of Mota and you may not shop at Aeropostale, but someday someone just like her is going show up at your favorite store.